Congratulations! 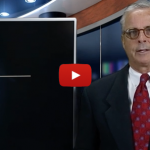 If you have followed the advice in this video series you should be nearly finished with your own Market Preparation Checklist. I know you see the value of this marketing piece but today, I want to teach you how it can help protect your fee. My own checklist is the result of over four decades of selling homes. I am convinced that if a seller follows my checklist, that they could realize an extra 2% to 4% of sales price. Can I prove that? Absolutely not! I just believe it to my core. You can view the video I give to sellers at www.ATaleofTwoHouses.com. 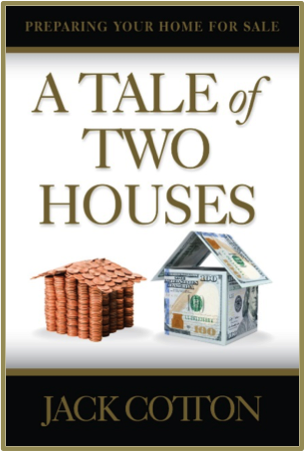 The Black Book of Market Preparation mentioned in the video has grown into my newest book, A Tale of Two Houses. If you use your checklist properly and believe in its value it can become one of your strongest fee protection tools. As mentioned in a previous video, I have nothing against stagers. On the other hand, I help agents differentiate themselves from luxury leaders in their own markets. 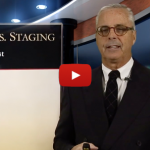 Many of these leaders bring in professional stagers as part of their marketing plan. I choose not to compete with that by trying to “out gun” their stager. Rather, I sell my own market preparation checklist and it’s evolved from years of taking note of what makes the eyes of buyers light up when they view homes. It’s as simple as that. Most stagers don’t have this experience so it presents an opportunity to be different and better. Watch today’s video where I will cover this process in detail as you create your own version of a Market Preparation Checklist. I will also cover additional checklists so that you can add even more value to this process. Enjoy the series. As always, I appreciate your questions and comments. I would love to hear about the progress you have made with your own checklist and success stories once you have used it. www.LuxuryRealEstateUnplugged.com is now a subscription event. Join me for monthly coaching webinars to help you accelerate your success with expert guidance and support.